Looking at Muller's career and blown leads it seems to be this is more of a trend than I thought. It would be interesting to see the flipside of that...i.e. how many times we came from behind to win. My guess is that’s a much smaller sampling. Just saw it again on local news. For the 3rd time. The MSU player clearly, obviously double dribbled before he banked in the desparation bankshot. We are two crazy, impossible shots out of first. Great post and you are correct ... much of the out pour is about 2 decades of frustration. Yesterday was disappointing by all accounts. I would have saved the timeout but Dan decided to draw up an inbound play. MY was open and MC hesitated. I am not blaming the coach. Maybe Dan called timeout because of the game against Wichita (Jackie kick game) where we blew an inbound play to Johnny Hill to help spur the Wichita comeback. 1st year coach may have been greatly influenced by that play .... maybe a lasting impression. Don't know and pure speculation on my part. We could list about a half dozen plays that could have changed the outcome (I am sure Dana would have a list for MSU too), I still can't believe in the midst of chaos he banked a half court shot. Still shaking my head. I will be at the remainder of home games and St. LOUIS and as always hoping for the best. I know I'm in the minority, but I feel winning the conference season proves more about your team than winning a 3 day tournament. I am also in the minority that feel like non-conference is practice getting you ready for conference. All that being said, I would rather make the tournament than win the league at this point. I wish winning the league was an automatic bid and winning the tournament gave you an automatic play-in game to the tournament. I dont share your feelings on the nonconference schedule but I agree that winning the regular season is significant. Also, if we finish 1- 3 in conference on a consistent basis , winning the MVC tournament should happen. The Richarson/Moser years were lean and we were not competitive. I personnally dont want to watch Thursday night caliber teams play day in and out.... talk about frustrating. Jank and Dan have fielded much more competitive teams. 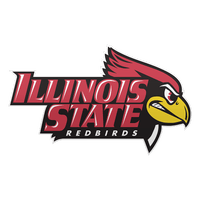 Going 0 for 6 in championship games and being one of the first teams out on 2017 has left Redbird fans (myself included) craving to return to the NCAA. Not saying Dana will or will not be a good coach; I like his chances, but the jury is still out. If you throw out Dana's first year at Tennessee State (5-26) and this first year at Missouri State his winning percentage is .571 (and in his last two years there, when it was more of his own recruits, the Tigers were 32-28 overall (18-16 in (according to some on this board) a lesser (to the MVC) OVC conference). If you discard Dan's first season (and the current season, in order to do a similar comparison to Dana) his overall winning percentage is .615 to Dana's .571 and his MVC conference percentage is .656 to Dana's OVC percentage of .580. Not advocating one over the other, but it is not quite as clear cut as some would like to sell (specifically when you isolate in-conference results). While I love what Chastain does, need more than 2 points from someone that gets 30 minutes of game time. He’s capable of more, and need him to look for his offense more, and bring another threat and balance to the offense. Dana isn't the answer either. The former assistant could be but he's already outgrown the MVC and he's not even a head coach yet.